Independence is a major tenet of the Montessori philosophy, and yet, this does not mean children work solely on their own. In fact, working with others promotes independence, within the classroom as well as outside of it. 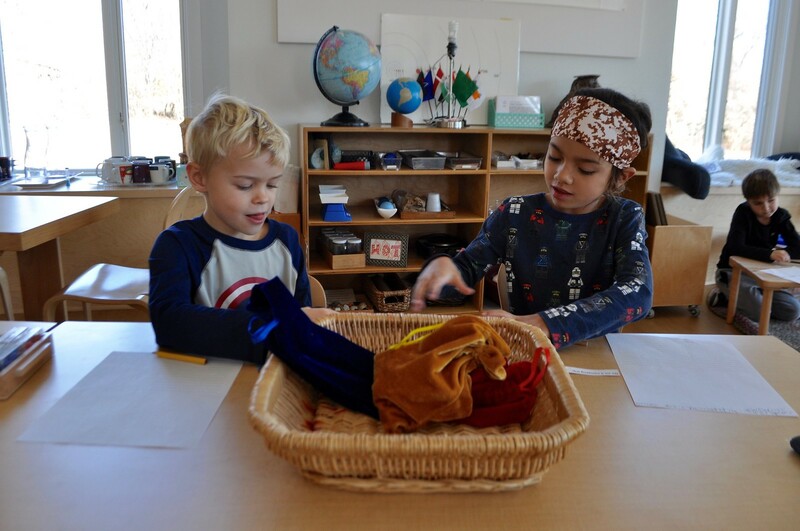 Read more about why we encourage children to work together in the Montessori classroom below. 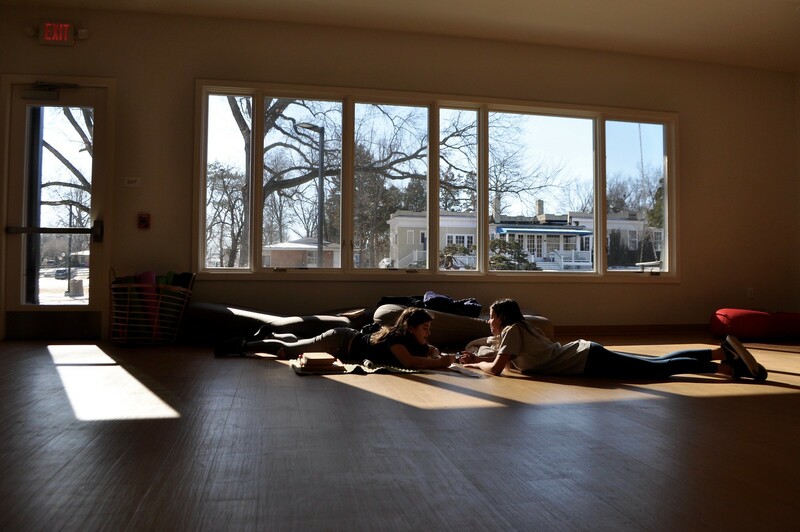 The Montessori classroom itself is set up to promote small groups and pairs during their work cycles. 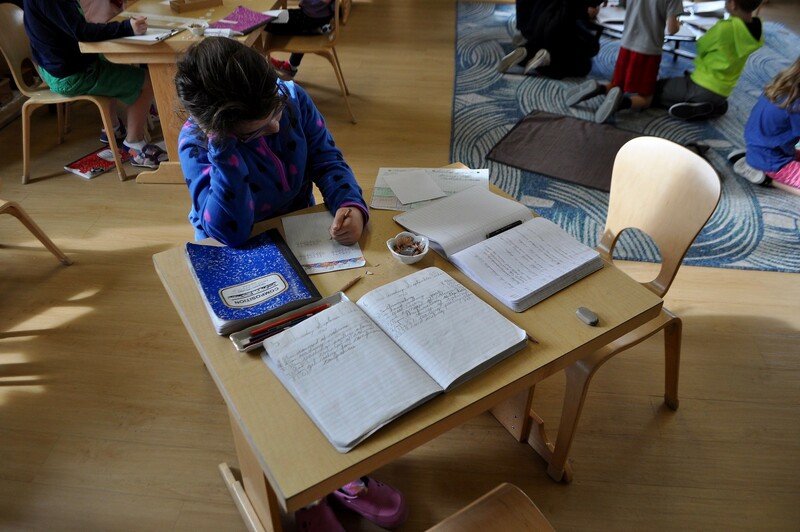 Instead of rows of single desks with chairs, you will find an assortment of tables: some long enough to accommodate large groups, others for four, some smaller tables for two… and sometimes children squeeze as many journals as they can fit onto a table in order to be together! While working together certainly has a social draw – children begin their day by socializing with their friends, and may choose to work next to those friends during a work cycle – there are many other benefits to working with another child. Children learn from each other, accept leadership roles in those works in which they feel confident, or step aside to allow a different child to be the expert in a different work. This is a confidence boost, and also a lesson in respect and community. Some of us are quick with mathematics, while others are excelling in language; still others are the go-to artists or engineers of the classroom. 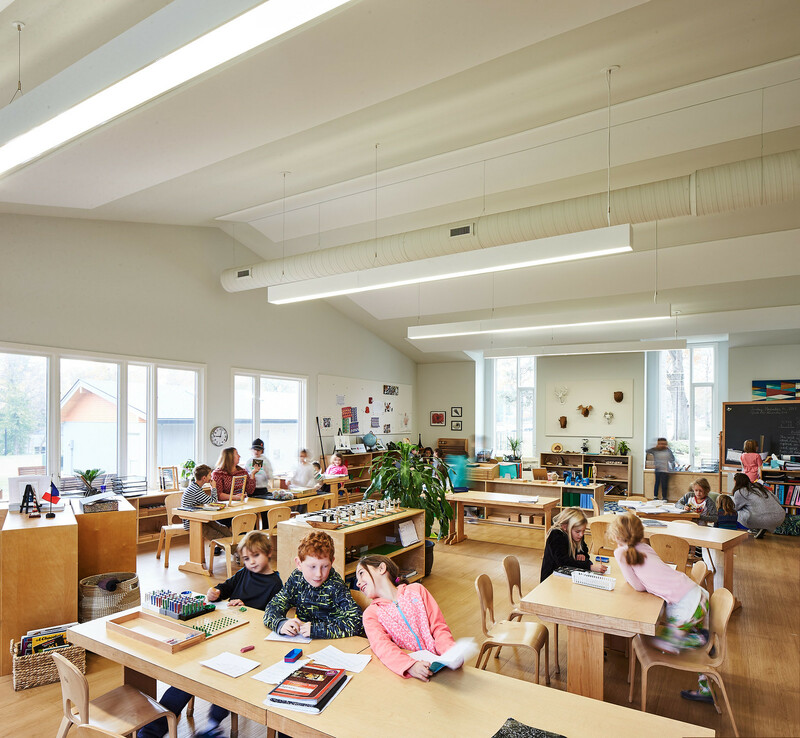 This is particularly true of the Upper Elementary classroom, where the levels of independent work are higher, with a greater ability to see a project or idea through from start to finish. These children can often be seen bouncing ideas off one another, and gently arguing about how to go about one thing or another in the most efficient way. 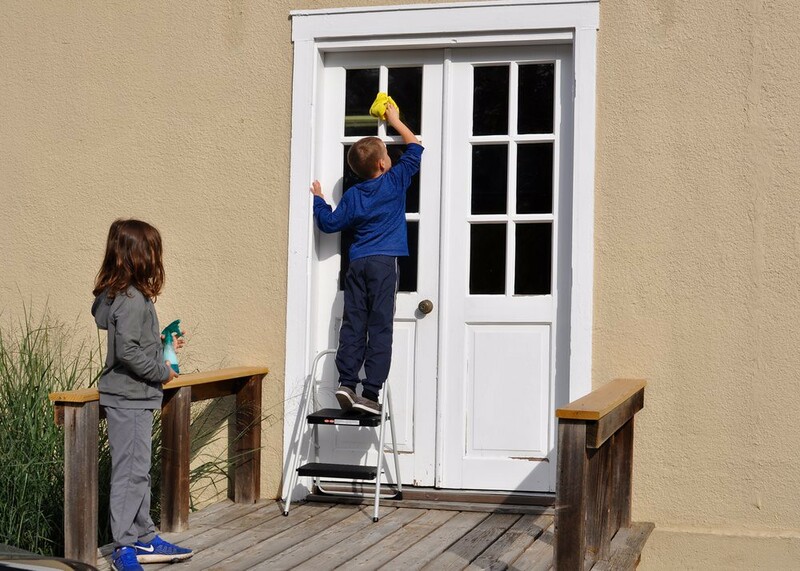 In the Children’s House, children may choose to work on the same work next to one another, lending a helping hand to a friend who stumbles on a problem. Sometimes one child even helps redirect an off-task friend! And here, there is much pride in being able to work out a problem without having to go to an adult in the room to solve it for them. The more children can effectively work together, the more independent they become! Working together solidifies connections. Two children share their interests by researching a topic together, sharing knowledge, and building on that knowledge. 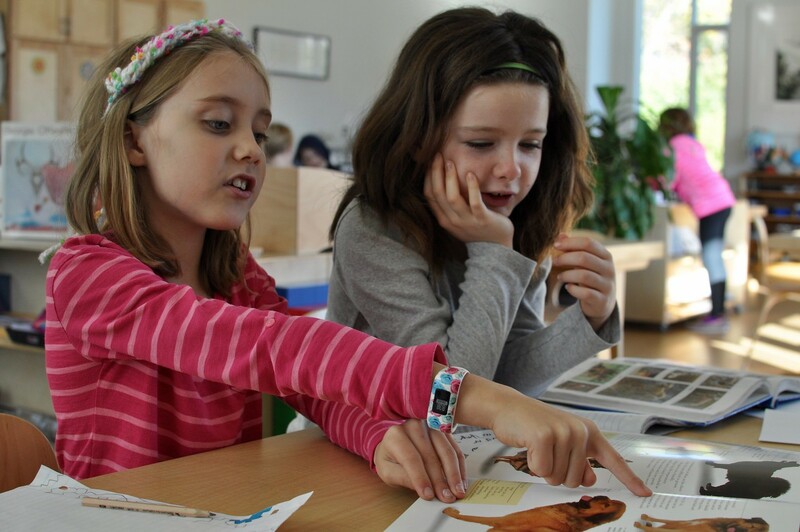 In Lower Elementary, children research and give reports together. This process can take weeks or months, based on how quickly or slowly all members in the group move forward. 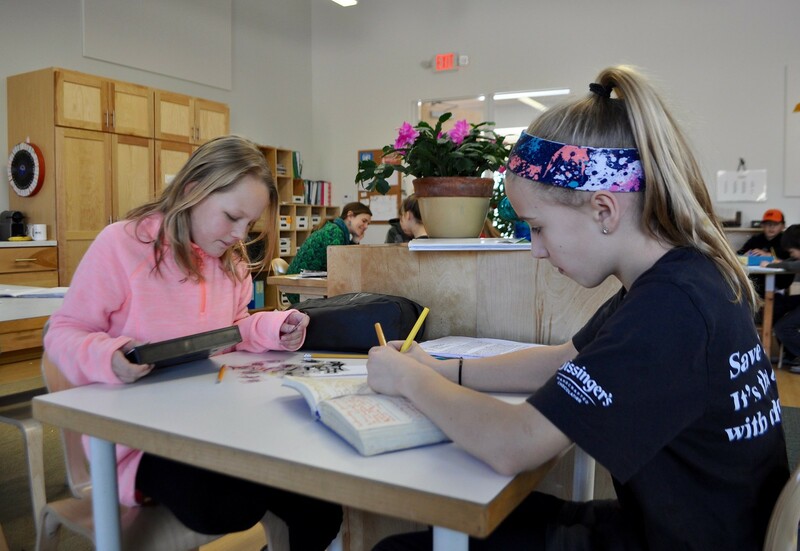 The mixed-age groups in the Montessori classroom (found in three-year groupings) also allow for a type of mentorship. The younger students learn an immense amount from the older children, not just socially, but academically as well. Working together on such reports often leads to opportunities for conflict resolution, peer mediation, and learning how to speak up in a small group. Fairness (of huge concern to the Second Plane child) comes into play during small group activities, as the focus of a moral sense of order is forefront on the mind of a child aged 6 – 12. This opportunity also presents itself during shared jobs and during recess time. Children receive much help in the collaboration process from the experienced Guides in their classrooms; group dynamics are often aided by mediation and careful observation by the adults in the room. 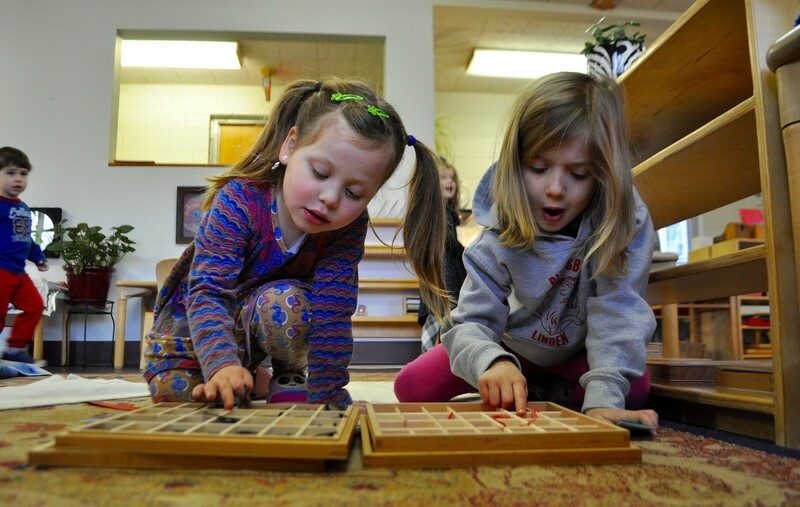 In this way, Montessori children are learning how to work with others on a daily basis, a sure way to prepare them for adult life, both in work and personal relationships. Previous Previous post: We Love Our Animals!